UN Maldives has called on putting forth gender equality and environment protection when formulating governing policies. During the meeting held with the transition committee formed by President-Elect Ibrahim Mohamed Solih to deliver information on the progress of Sustainable Development Goals (SDGs) in Maldives, United Nations Resident Coordinator and Resident Representative at United Nations Development Programme (UNDP) Maldives Shoko Noda highlighted the achievements made by the country in Millennium Development Goals (MDGs), expressing hope to achieve higher in terms of SDGs. 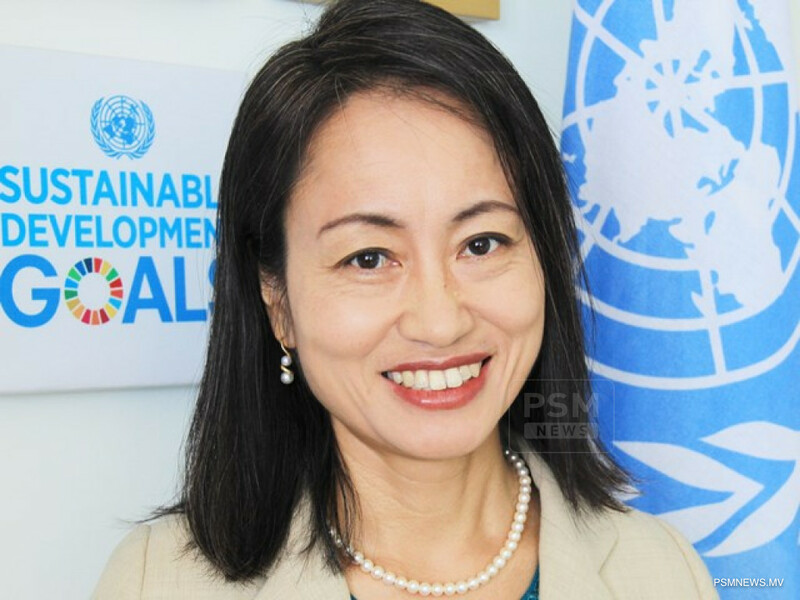 Noting the importance of enhancing works of establishing gender equality and protecting environment, Shoko Noda expressed hope that a government of Ibrahim Mohamed Solih will also work towards achieving SDGs. Moreover, during the meeting, UN Maldives gave information to the transition committee on its work and latest updates. The transition committee inquired on ways to collaborate together for the development of Maldives.